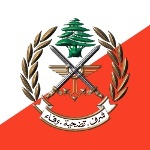 Lebanese servicemen annually observe their professional holiday, Armed Forces Day, on August 1. This date is considered to be the birthday of the Lebanese Armed Forces in 1945. The Special Troops of the Levant are considered to be the forerunner of the Lebanese Armed Forces (LAF). These troops were organized in 1920 from Lebanese and Syrian personnel, however, they were commanded predominantly by French officers. Later the Special Troops of the Levant were reorganized into the Lebanese First Sharp Shooters Unit. On August 1, 1945 the Lebanese Armed Forces were fully placed under authority of the Lebanese National Government. Nowadays this day is celebrated in Lebanon as Armed Forces Day. The Lebanese Armed Forces consist of Land Force, Air Force and Navy. There are also the Lebanese Special Forces, that are the elite of the army. Everyone, who enrolls to the Special Forces, must be in peak physical and mental condition. These people are subjected to rigorous training in order to achieve their highly demanded position.